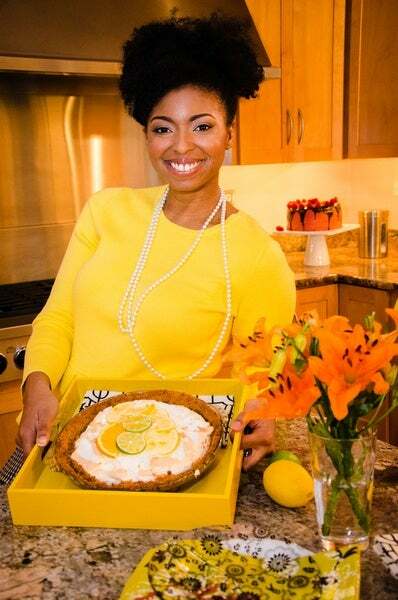 Jocelyn Delk Adams grew up loving to bake with her grandmother and other women in her family. See how she turned her family’s passion into a profitable business. Jocelyn Delk Adams grew up loving to bake with her grandmother and other women in her family. As she got older being in the kitchen didn’t always sit well with her feminist beliefs. Finally she discovered how to embrace her love of baking on her own terms and used her media skills to grow a cooking website turned book, Grandbaby Cakes. See how she turned her family’s passion into a profitable business. The Gig: I run the recipe site Grandbaby Cakes, influenced by my grandmother and family’s love of baking. The recipes are southern inspired with modern twists. I have been fortunate enough to work with amazing brands like Pillsbury, KitchenAid, Baileys Coffee Creamers and more. I love working for myself and receiving so many emails from readers. A lot of them mention how they didn’t get the chance to learn certain recipes before their grandparents or parents passed away. I hope I am helping to fill that gap. The Journey: I have had quite a creative career thus far working in media. I started as a production freelancer in feature films, moved into television and then event production. I began baking as a little girl with the women in my family. As I got older I enjoyed baking, but I didn’t feel the strong desire to be in the kitchen and as a feminist, it felt anti-modern. One weekend in my late 20s, I walked in my kitchen and pulled out ingredients for a pound cake. Something felt right and I decided to stop fighting it. I baked every weekend after that. Becoming her Own Boss: I wanted to make a baking career that combined all of my previous media jobs. I created my site while working full time and made a ton of brand connections. Once I landed my book deal a year and a half later, I was able to quit my job and completely commit to my first love. I have never hustled so hard in my life, but I can’t imagine doing anything than what I do now. Her Tips to the Rookies: Beginner bakers just need to role up your sleeves, get in the kitchen and develop confidence creating a successful recipe. Baking is supposed to be fun and relaxing. Confessions of a Black Woman in Business: Self-doubt and fear have the power to stop us dead in our tracks. They kill visions and dreams faster than anything. Never listen to that inner voice that causes that doubt. Nothing can stop a person who keeps their eyes on their dreams. Her Biggest Career Accomplishment: Writing my first book was the most unbelievable feeling ever. It soared to top rankings on Amazon and Barnes & Noble the first day I started pre-orders. Her Theme Song: “Infinite Possibilities” by Amel Larrieux and “Strength, Courage and Wisdom” by India Arie. They are my warrior songs! My Stress Reliever: I read a book while taking a long hot bubble bath every single night. It is my time to unwind. Her Tech Must-Haves: My life is all tech. My favorite apps are InsTrack, VSCOcam, Snapseed, Foodspotting, Gmail Sheets and FreshBooks for my accounting on the go. Her Beauty Bag: I adore jojoba oil for everything from my skin to my hair. HD Foundation by Make Up Forever is my go-to for all of my TV appearances.